Baltimorans are missing a way to experience a swimmable Inner Harbor and a healthy Chesapeake Bay ecosystems: Baltimore citizen awareness and expectations can drive the same changes that occurred in Copenhagen. Baltimore should site a Floating Bath (like those in New York City)next to the volley ball courts of Baltimore Beach in the Inner Harbor for recreation and civic engagement to restore the Harbor and the Chesapeake Watershed. Cities can live in harmony with their rivers and enjoy the waterfront. 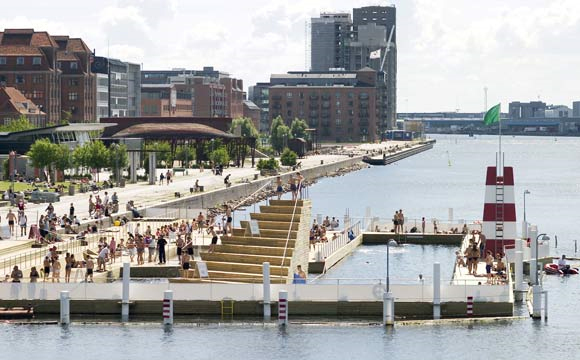 Copenhagen and other port cities, through major investments in sewage treatment have improved water quality in the inner harbor so that it can now be used for swimming. Human activities for the past 3 centuries have changed the Chesapeake Bay, including the Baltimore Harbor from a source of food energy (clams, mussels, crabs and other seafood) into an energy sink (plankton) . This deterioration is the result of changing land use: from early colonial (1665-1720), when<20 % of the land was in crop, mainly tobacco; to developing agriculture (1720–1800), when 60 % of the land was planted primarily with wheat;ending with deforestation and intensive agriculture (1800–early 1900s), when 80–90 % of the Chesapeake watershed was cropland. Nitrification from agriculture has nearly destroyed the filtering action of mussels. Deforestation and ploughing led to eroded soil filling the Bay. Industrialization and waste dumping have left chemical pollution. Brush, Grace S. (2009) Historical Land Use, Nitrogen, and Coastal Eutrophication: A Paleoecological Perspective.Estuaries and Coasts. 32:18-28. 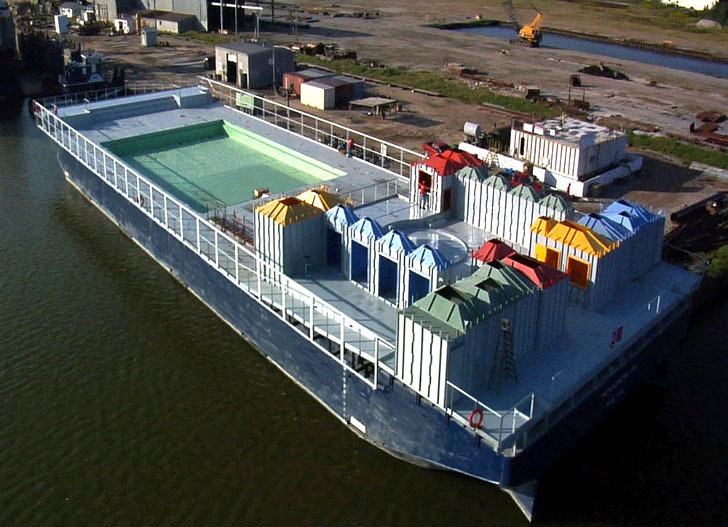 Giron, W. (2011).The Floating Pool Lady: An Old Barge Transformed into a Buoyant Swimming Pool in The Bronx. Official Website of Denmark. Swimming in Copenhagen Harbour. Sowers, A. A., & Brush, G. S. (2014). A Paleoecological History of the Late Precolonial and Postcolonial Mesohaline Chesapeake Bay Food Web. Estuaries and Coasts, 1-10.